Elemi essential oil is derived from the steam distillation of the gum from Elemi tree. Elemi tree, with scientific name Canarium Luzonicum, is a native of temperate lands of a beautiful country in Southeast Asia, the Philippines. Some may also be found in nearby countries. 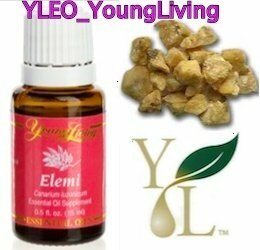 Learn more about Elemi Essential Oil or find a great deal on the best selling Elemi Oil from the items below! Silky Scents EO115-5ML 100 Percent Pure Therapeutic Grade Elemi Essential Oil - 5 ml. FeaturesElemi Essential Oil 100% Pure Essential Oil 100% Pure Therapeutic Grade Capacity - 5 ml. Aromatherapy PropertiesElemi is a gum produced by a tree of the Canarium family Canarium luzonicum that is grown in a specific region of the Philippines south of Manila. Mainly between July and November the tree is tapped by making incisions in its bark and removing a thin strip every day. Trees in their seventh year or older produce abundant quantities of the gum which is harvested weekly. Fresh Elemi gum is bright white in color. It retains a pasty consistency that enables it to be molded into the wooden boxes in which it is traditionally exported. The therapeutic properties of Elemi Oil includes using it as an analgesic expectorant tonic antiseptic and as a stimulating agent. It can give users a feeling of peace be effective on wounds and cuts heavy perspiration and in the reduction of mucous. Elemi is used for centuries as a fixative and fragrance component for example in soaps. Detergents perfumes cosmetics. From the same botanical family as Frankincense and Myrrh. Blends well withElemi blends well with Elemi oil blends well with Clary Sage Frankincense Rosemary Myrrh (India) and Lavender 40/42. also it blends with Spices floral and oriental bases the relief oils - Rose Absolute (Morocco) Jasmine Absolute Sandalwood East Indian Frankincense. Blend with Ylang Ylang I Vanilla 10 Fold or Jasmine Absolute to support its soft qualities. Great fixative that binds other more volatile aromas and makes them last longer. Silky Scents EO115-10ML 100 Percent Pure Therapeutic Grade Elemi Essential Oil - 10 ml. 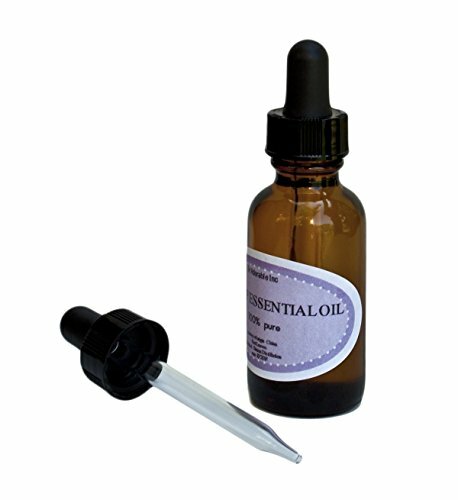 FeaturesElemi Essential Oil 100% Pure Essential Oil 100% Pure Therapeutic Grade Capacity - 10 ml. Aromatherapy PropertiesElemi is a gum produced by a tree of the Canarium family Canarium luzonicum that is grown in a specific region of the Philippines south of Manila. Mainly between July and November the tree is tapped by making incisions in its bark and removing a thin strip every day. Trees in their seventh year or older produce abundant quantities of the gum which is harvested weekly. Fresh Elemi gum is bright white in color. It retains a pasty consistency that enables it to be molded into the wooden boxes in which it is traditionally exported. The therapeutic properties of Elemi Oil includes using it as an analgesic expectorant tonic antiseptic and as a stimulating agent. It can give users a feeling of peace be effective on wounds and cuts heavy perspiration and in the reduction of mucous. Elemi is used for centuries as a fixative and fragrance component for example in soaps. Detergents perfumes cosmetics. From the same botanical family as Frankincense and Myrrh. Blends well withElemi blends well with Elemi oil blends well with Clary Sage Frankincense Rosemary Myrrh (India) and Lavender 40/42. also it blends with Spices floral and oriental bases the relief oils - Rose Absolute (Morocco) Jasmine Absolute Sandalwood East Indian Frankincense. Blend with Ylang Ylang I Vanilla 10 Fold or Jasmine Absolute to support its soft qualities. Great fixative that binds other more volatile aromas and makes them last longer. Silky Scents EO115-15ML 100 Percent Pure Therapeutic Grade Elemi Essential Oil - 15 ml. FeaturesElemi Essential Oil 100% Pure Essential Oil 100% Pure Therapeutic Grade Capacity - 15 ml. Aromatherapy PropertiesElemi is a gum produced by a tree of the Canarium family Canarium luzonicum that is grown in a specific region of the Philippines south of Manila. Mainly between July and November the tree is tapped by making incisions in its bark and removing a thin strip every day. Trees in their seventh year or older produce abundant quantities of the gum which is harvested weekly. Fresh Elemi gum is bright white in color. It retains a pasty consistency that enables it to be molded into the wooden boxes in which it is traditionally exported. The therapeutic properties of Elemi Oil includes using it as an analgesic expectorant tonic antiseptic and as a stimulating agent. It can give users a feeling of peace be effective on wounds and cuts heavy perspiration and in the reduction of mucous. Elemi is used for centuries as a fixative and fragrance component for example in soaps. Detergents perfumes cosmetics. From the same botanical family as Frankincense and Myrrh. Blends well withElemi blends well with Elemi oil blends well with Clary Sage Frankincense Rosemary Myrrh (India) and Lavender 40/42. also it blends with Spices floral and oriental bases the relief oils - Rose Absolute (Morocco) Jasmine Absolute Sandalwood East Indian Frankincense. Blend with Ylang Ylang I Vanilla 10 Fold or Jasmine Absolute to support its soft qualities. Great fixative that binds other more volatile aromas and makes them last longer. 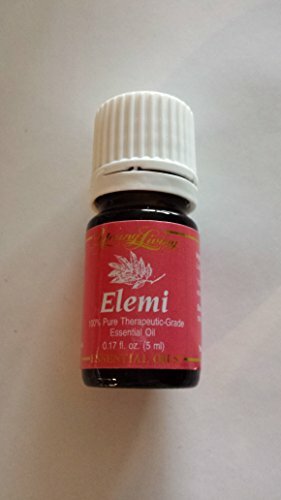 Silky Scents EO115-1OZ-30ML 100 Percent Pure Therapeutic Grade Elemi Essential Oil - 30 ml. FeaturesElemi Essential Oil 100% Pure Essential Oil 100% Pure Therapeutic Grade Capacity - 30 ml. Aromatherapy PropertiesElemi is a gum produced by a tree of the Canarium family Canarium luzonicum that is grown in a specific region of the Philippines south of Manila. Mainly between July and November the tree is tapped by making incisions in its bark and removing a thin strip every day. Trees in their seventh year or older produce abundant quantities of the gum which is harvested weekly. Fresh Elemi gum is bright white in color. It retains a pasty consistency that enables it to be molded into the wooden boxes in which it is traditionally exported. The therapeutic properties of Elemi Oil includes using it as an analgesic expectorant tonic antiseptic and as a stimulating agent. It can give users a feeling of peace be effective on wounds and cuts heavy perspiration and in the reduction of mucous. Elemi is used for centuries as a fixative and fragrance component for example in soaps. Detergents perfumes cosmetics. From the same botanical family as Frankincense and Myrrh. Blends well withElemi blends well with Elemi oil blends well with Clary Sage Frankincense Rosemary Myrrh (India) and Lavender 40/42. also it blends with Spices floral and oriental bases the relief oils - Rose Absolute (Morocco) Jasmine Absolute Sandalwood East Indian Frankincense. Blend with Ylang Ylang I Vanilla 10 Fold or Jasmine Absolute to support its soft qualities. Great fixative that binds other more volatile aromas and makes them last longer. Elemi 3 -5 milliliter bottles. Aromatherapy Properties: (Uses) Elemi is a gum produced by a tree of the Canarium family, Canarium luzonicum, that is grown in a specific region of the Philippines, south of Manila. Mainly between July and November, the tree is tapped by making incisions in its bark and removing a thin strip every day. Trees in their seventh year or older produce abundant quantities of the gum, which is harvested weekly. Fresh Elemi gum is bright white in color. It retains a pasty consistency that enables it to be molded into the wooden boxes in which it is traditionally exported. The therapeutic properties of Elemi Oil includes using it as an analgesic, expectorant, tonic, antiseptic and as a stimulating agent. It can give users a feeling of peace, be effective on wounds and cuts, heavy perspiration, and in the reduction of mucous. Elemi is used for centuries as a fixative and fragrance component, for example in soaps. Detergents, perfumes, cosmetics. From the same botanical family as Frankincense and Myrrh.Blends well with: Elemi blends well with Elemi oil blends well with Clary Sage, Frankincense, Rosemary, Myrrh (India), and Lavender 40/42. also it blends with Spices, floral and oriental bases, the relief oils - Rose Absolute (Morocco), Jasmine Absolute, Sandalwood East Indian, Frankincense. Blend with Ylang Ylang I, Vanilla 10 Fold, or Jasmine Absolute to support its soft qualities. Great fixative, that binds other more volatile aromas and makes them last longer. 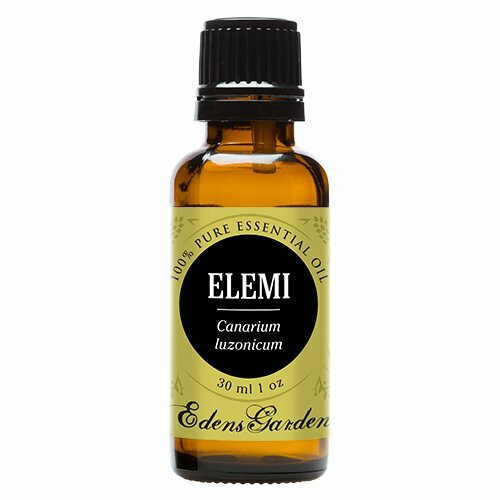 100% Pure Therapeutic Grade Elemi 10ml Essential Oil Botanical Name: Canarium luzonicum Comes in 10ml amber glass essential oil bottle. 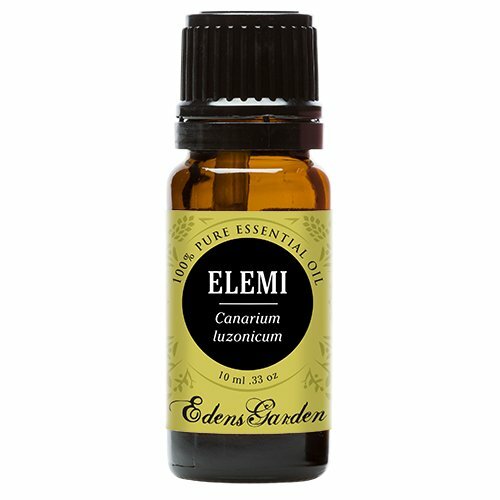 European Dropper Cap included Elemi Essential Oil has a sour, vinagery smell similar to a dill pickle with a citrus undertone. What sets Healing Solutions Essential Oils apart is superior cultivation of ingredients that are the best in the world. Combined with superior distillation and bottling care process, We GUARANTEE that our oils are aromatically superior and more effective than any other oils - if you disagree we will refund your money! The Leading Aromatherapy Associations (Alliance of International Aromatherapists (AIA), International Aromatherapy and Aromatic Medicine Association, Aromatherapy Trade Council, and others) all state that essential oils should not be taken internally (regardless of purity or organic origin) unless under the guidance of a health care practitioner trained at an appropriate level . As such, all of our oils carry a label warning that the product is NOT FOR INTERNAL USE. 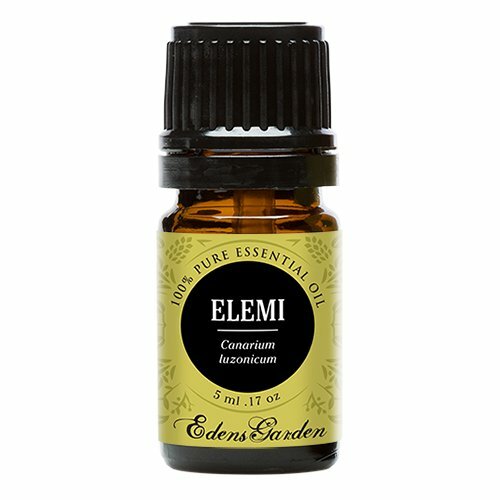 Elemi Essential Oil 10 ml. 100% Pure, Undiluted, Therapeutic Grade. Botanical Name: Canarium luzonicum: Extraction Method: Steam Distilled * Origin: France * Description: Elemi is a tropical tree from the Philippines that can grow up to 98 feet. It exudes a yellow resin when leaves are sprouting. * Color: Colorless to pale yellow clear liquid. * Common Uses: The therapeutic properties of Elemi Essential Oil include use as an analgesic, expectorant, tonic, antiseptic and as a stimulating agent. It can give users a feeling of peace, be effective on wounds and cuts, heavy perspiration, and in the reduction of mucous. * Consistency: Thin * Note: Middle * Strength of Aroma: Medium * Blends well with: Elemi Essential Oil blends well with Clary Sage, Frankincense, Rosemary, Myrrh and Lavender. * Aromatic Scent: Elemi Essential Oil can be best described by comparing it to a dill pickle with citrus notes. It is surprisingly fresh and clean though, and not as tart as one would expect. 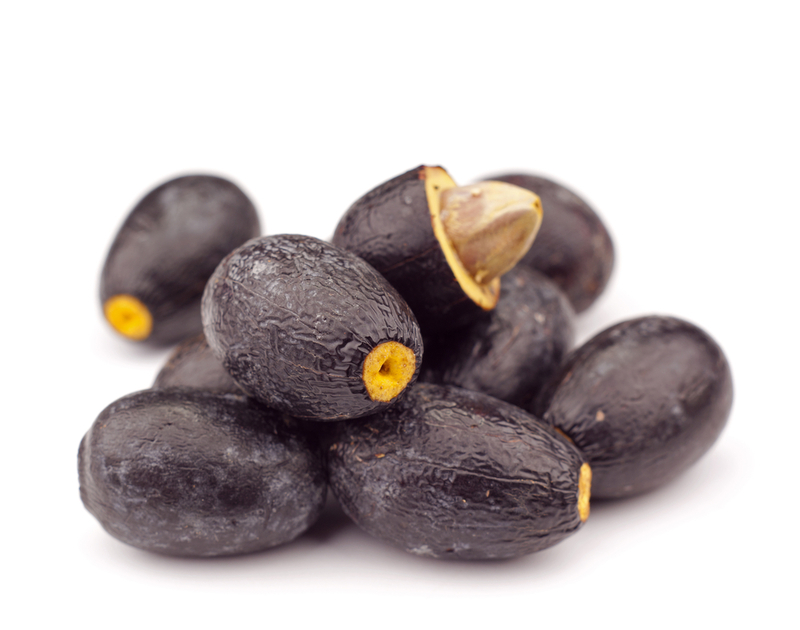 * History: Elemi Essential Oil is known locally as 'Pili and the gum is exported from Manila. The ancient Egyptians used Elemi oil in the embalming process. ELEMIS Musclease Active Body Oil, 3.4 fl.oz. The synergy of maritime pine, sea buckthorn, sea fennel extracts and rosemary essential oil helps ease muscle pain and stressed joints. Botanical Name: Canarium luzonicum Extraction Method: Steam distilled Aroma: Fresh, lemony, spicy, balsamic undertone Origin: Philippines The therapeutic properties of Elemi Essential Oil include use as an analgesic, expectorant, tonic, antiseptic and as a stimulating agent. It can give users a feeling of peace, be effective on wounds and cuts, heavy perspiration, and in the reduction of mucous. It is said to enhance the appearance of mature skin. History Elemi Essential Oil is known locally as Pili, and the gum is exported from the Philippines. The ancient Egyptians used Elemi oil in the embalming process. The resin was used in Europe and the Near East for ointments and salves, and in more recent times, as a substitute for Frankincense. 100% Pure Therapeutic Grade Elemi Essential Oil Comes in a 60ml amber glass essential oil bottle. European Dropper Cap included. What sets Healing Solutions Essential Oils apart is superior cultivation of ingredients that are the best in the world. Combined with superior distillation and bottling care process, We GUARANTEE that our oils are aromatically superior and more effective than any other oils - if you disagree we will refund your money! The Leading Aromatherapy Associations (Alliance of International Aromatherapists (AIA), International Aromatherapy and Aromatic Medicine Association, Aromatherapy Trade Council, and others) all state that essential oils should not be taken internally (regardless of purity or organic origin) unless under the guidance of a health care practitioner trained at an appropriate level . As such, all of our oils carry a label warning that the product is NOT FOR INTERNAL USE.